JB Hi-Fi Ltd has reported a net profit net profit of $233.2 million for the 2018 financial year, up 12.3% compared with 2017. This was struck on sales of $6.9 billion compared with $5.6 billion last year. As a relatively mature electronics goods retailer, 21.8% sales growth represents a robust performance. In fact, the company’s overall financial result exceeded the expectations of most analysts, and it wasn’t surprising to see the company’s shares open substantially higher. That said, management noted that it was a challenging period for The Good Guys business, as it goes through a period of integration and repositioning post acquisition. The company declared a final dividend of 46 cents, bringing the full year dividend to $1.32, once again ahead of consensus of $1.29. 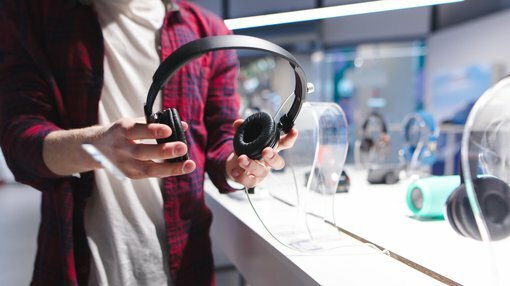 While JB Hi-Fi continues to benefit from acquisitions, it also delivered an impressive like-for-like sales growth of 6.2%, indicating that its established business is performing well and demand for its core electronics products remains strong. While the company has operations in New Zealand, Australia remains the dominant source of sales and earnings. Total sales from its Australian operations grew by 9.4% to $4.54 billion, with comparable sales up 6.2%. Looking across the company’s product segments, the key growth categories were the communications, computers, audio, games hardware and drones categories. Importantly, online sales grew 32.1% to $209.9 million, indicating the company is adapting well to the online sales environment. Total operating costs remained well controlled as the business managed increased volumes through the store network driven by new products, click and collect, online and commercial order sales. The company’s low cost of doing business remains a competitive advantage and is maintained through continued focus on productivity and minimising unnecessary expenditure, an issue which many bricks and mortar retailers struggle with. July sales for JB Hi-Fi Australia were up 2.9%. Management is forecasting total group sales of $7.1 billion in fiscal 2019, representing year-on-year growth of around 3%. The Good Guys business is expected to generate sales of $2.1 billion in 2019.